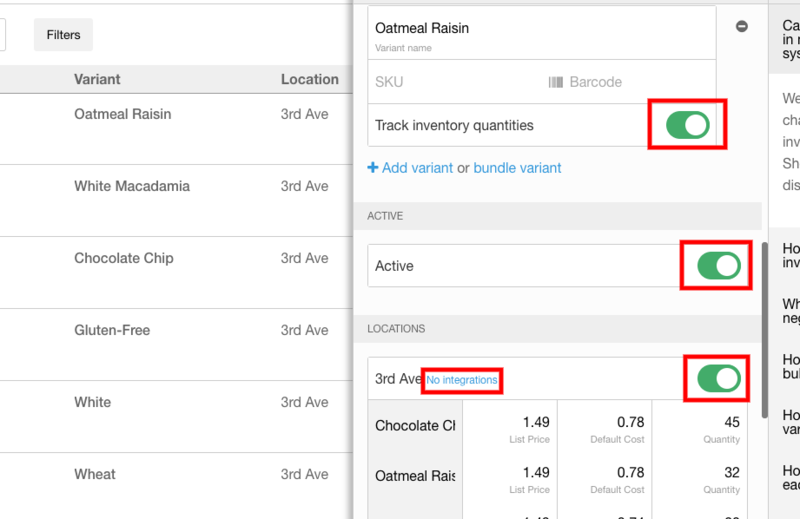 Make sure you're using the 'Actions' button at the top of the Products & Variants tab to change quantities. 2. Check your sync settings in the Locations and Integrations section of your settings. Sync should be enabled for inventory quantities.